The FBI, IRS and U.S. Postal Service in recent weeks began questioning former employees of the now-defunct MGT Construction, as well as current and former Thalhimer employees, according to sources familiar with the matter. The agencies also asked Thalhimer corporate to provide documents dating to 2012. The inquiry, which could lead to potential criminal charges, is said to be centered on a scam that shifted expenses across various MGT construction jobs in order to hide losses, inflate profits and boost bonuses of three main MGT employees from 2013 to 2016. 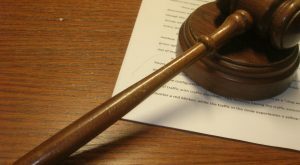 Thalhimer has continued to deny in court filings that its executives had knowledge of the full extent of the issues prior to the discovery of the cost-shifting scheme by two employees in its accounting department in 2016. Lee Warfield, Thalhimer CEO, said in an email this week the company would not comment on the federal investigation. “Thalhimer does not comment on the existence or nature of any investigation by governmental authorities, but in such event would cooperate fully,” the email stated. The FBI, IRS and Postal Service all would not comment, saying they could not confirm or deny any active investigations. No charges have been filed as a result, according to federal court records. While it’s unclear exactly who could be targeted in the inquiry, court records from various tangential lawsuits show Thalhimer pointing the finger largely at former MGT employee Patrick Lindsey and former longtime MGT president Michael Logan Sr. 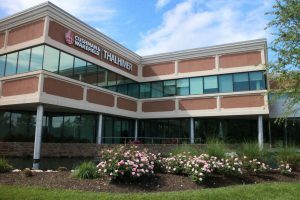 The matter ultimately forced the Thalhimer parent company to restate its financials for certain years and caused it to unwind a stock purchase related to its employee stock ownership plan. 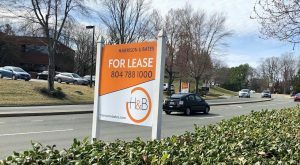 That web of issues has been the subject of a civil lawsuit filed against the company by Steven Brincefield, former property management head. 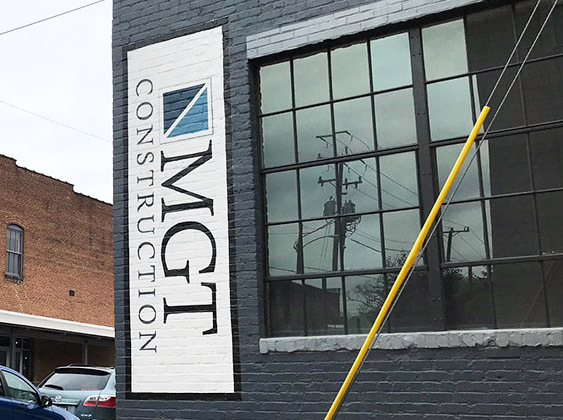 MGT filed Chapter 7 bankruptcy in early 2018, buried under more than $28 million in debt owed to more than 500 creditors. Thalhimer claims in court filings that Lindsey, who had control over MGT’s accounting, has admitted to the shifting of costs and eventually stated under oath during bankruptcy hearings that Logan directed him to do it. 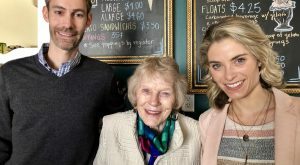 While an initial internal investigation apparently found inconclusive evidence of Logan’s role in the scheme, the company later claimed in a lawsuit filed against accounting firm Cherry Bekaert that Logan was linked to Lindsey’s actions. The company claims Logan took steps over several years to entice Lindsey to stay at MGT, going as far as personally paying Lindsey $46,000 over time, along with having MGT conduct nearly $40,000 worth of renovations on Lindsey’s home in early 2016. “If Lindsey were to leave, Logan’s deliberate and fraudulent misallocations of costs may have been uncovered by Lindsey’s successor and/or Logan would have had to stop further misallocations since Logan would no longer have Lindsey’s assistance in the scheme,” court filings state. Logan, according to court records, received bonuses totaling nearly $800,000 between 2011 and 2013. He accrued, but wasn’t paid an additional $800,000 from 2014 to 2015. Lindsey received $202,000 worth of bonuses from 2011 to 2015. The company subsequently terminated both Lindsey and Logan. Neither has formally been named a party to any of the related litigation that’s resulted as fallout from MGT’s collapse. The two are key figures – though not named as defendants – in the lawsuit Thalhimer filed last summer against Cherry Bekaert, which had been Thalhimer’s outside auditor. 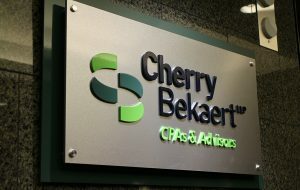 The suit, which is still pending, claims Cherry Bekaert was negligent in its duty to spot Logan and Lindsey’s scheme and said the fraud ultimately was discovered by a member of the Thalhimer accounting staff in November 2016. Logan, documents show, has denied any participation in the accounting scheme and maintained that stance through his lawyer as recently as last May. “Mike Logan did not participate in any accounting scheme and Mike Logan did not admit to participating in any accounting scheme,” his attorney Douglas Burtch said last year. A message left for Burtch this week was not returned. Lindsey could not be reached for comment. A call to a phone number listed as Lindsey’s in online records went unanswered. Thalhimer also claims Logan’s son, Mike Logan Jr., benefitted from the scheme in the form of bonuses. The younger Logan had worked in business development at MGT. He could not be reached for comment. Those at the top at Thalhimer, such as Warfield and former longtime head Paul Silver, describe a hands-off approach to managing MGT that appears to have allowed the problems to fester. 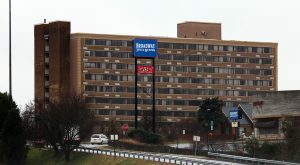 The executives told an internal investigation committee prior to the filing of the Brincefield lawsuit that they relied on assurances from those at the lower rungs that MGT was being run properly. They claimed Evan Magrill, Thalhimer executive vice president, and CFO David Dustin were tasked with keeping a handle on MGT. In addition to their titles at Thalhimer, Magrill was chairman of MGT and Dustin was CFO, court records state. Silver and Warfield also previously served as directors and officers of MGT. They state in court records that MGT was the only of Thalhimer’s wholly owned subsidiaries that managed much of its own accounting. A report produced by the internal committee then cites the lack of experience Magrill and Dustin have in the construction business and how they relied on Lindsey, who apparently was the only employee in the company who knew how to use MGT’s accounting software, a program called Timberline. The report concluded that while it was a mistake on the part of Thalhimer management to rely on others further down the ladder, that mistake does not mean they had knowledge of the cost-shifting scheme. Thalhimer claims the full scheme was discovered by Matt Kalber and Rochelle Aprigliano, who at the time were employees in Thalhimer’s accounting department. While the federal investigation plays out, the Brincefield lawsuit appears headed for a settlement, which could be filed any day. The MGT bankruptcy case also is ongoing, with the Chapter 7 trustee having hired a law firm out of Baltimore to investigate and dig for ways to repay the company’s creditors.